New Haven County and Surrounding Areas. 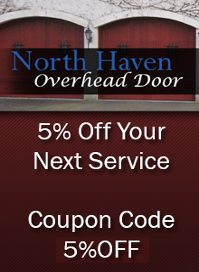 Since 1999, North Haven Overhead Door in North Haven, Connecticut, has been providing satisfied residential and commercial customers with quality garage door replacements and service to existing both residential and commercail overhead doors and openers. Free on-site estimates on new installations and 24 hour emergency service for existing doors at a reasonable rate is what we believe in. A quality product, expertly installed, means fewer worries for you. 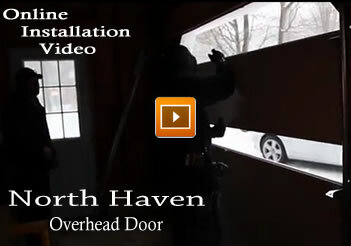 Not only are our technicians highly trained in all makes and models of overhead door and opener installations, as we undergo extensive, ongoing training from our suppliers regarding product updates and changes in our industry. We subsequentaly implement all learned practices and procedures into your installation. Our many happy customers over the years let us know how prompt and professional we are, in addition to installing an investment that lasts well beyond the manufacture's warranty. Please don't hesitate to call us at 203-239-5150 anytime day or night in an emergency where you can't get your car out. 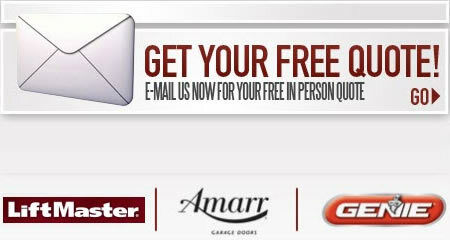 Request a phone call today and one of our technicians will address your new installation or repair.